The Arab Gulf monarchies have complex relations with many states. The authors in this edited volume examine the policies that have been pursued toward them by 10 external powers: the United States, Russia, Great Britain, France, Brazil, Turkey, India, China, South Korea and Japan. The first chapter, by editors Li-Chen Sim and Jonathan Fulton of Zayed University in Abu Dhabi, explores, in general, relations between external powers and a changing Gulf. The remaining chapters focus on the policies of each of the 10 external powers. What emerges is a complex portrait of how different external powers have both security concerns and economic interests related to the Gulf monarchies, but that the weight and intensity vary greatly. For the United States, the UK and France, security concerns and economic interests are both strong as well as related. They have sought to ensure the continued flow of energy exports from this region, to assure that powers hostile to the West (both inside and outside of the region) do not threaten these rich but vulnerable states, to protect the stability of their governments, and promote the continuation of exports to them — including armaments. But two powers that the West is increasingly at odds with — Russia and China — have very similar goals. Unlike Soviet policy, which was prepared to promote radical alternatives to these monarchies, Putin's Russia also supports regime stability in the Arab Gulf just as America and its Western allies do. China, for its part, seems quite content for the United States to underwrite the security of the Gulf monarchies, which Beijing relies on heavily for petroleum. The policies of other external powers are more focused on economic relations with the Gulf states, but these very much depend on others promoting the stability that allows this to continue. Finally, the security concerns and economic interests of many external powers are closely connected through the sale of weapons and other forms of security assistance. Competition among them for lucrative contracts is fierce. Yet despite their shared concern for stability and trade with the Gulf monarchies, what also emerges from the various chapters is that, except for the United States, these external powers all seek cooperative relations with the Arab Gulf's nemesis, Iran. The Gulf monarchies feared that the Obama administration's pursuit of the Iranian nuclear accord presaged a broader Iranian-American rapprochement that would lead to a diminished U.S. commitment to them. They were gratified by the Trump administration's belligerent attitude toward Tehran. The other chapters make clear, though, that, as much as the other external powers value cooperation with the Arab Gulf monarchies, they also value relations with Iran and do not intend to halt them. Another theme that also emerges in the various chapters is that, except for Turkey, none of the external powers studied wants to make a clear choice between opposing sides in the dispute that has arisen between Qatar and its neighbors Saudi Arabia, the UAE, and Bahrain. In contrast to all the other external powers that seek to cooperate with the Gulf monarchies, Turkey's siding with Qatar and stationing of troops there has led to its being at odds with Saudi Arabia and the UAE. 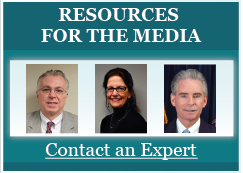 In addition to each external power's relations with Saudi Arabia, most chapters discuss relations between a specific external power and the other Gulf monarchies as well. With their enormous wealth and assertive foreign policies, the UAE and Qatar loom especially large in these accounts. But the chapter on Japan, by Koji Muto, focuses almost exclusively on Tokyo's relations with Riyadh. While he did this extremely well, the fact that the other chapters discussed different external powers' relations with all the Gulf monarchies while this one did not was disappointing. This book accomplished well the tasks that the author or authors of each chapter addressed—whether it was examining relations between external powers and the Gulf monarchies in general by the volume editors in the first chapter, discussing one country's ties to all the Gulf monarchies, or mainly the relationship between Japan and Saudi Arabia in the last chapter. Where the book can be criticized is that it left out certain external powers it would have been useful to include. A chapter, for example, on Germany's relations with the Gulf monarchies would have been valuable. And since there was a chapter on India's relations with the Arab Gulf, one on Pakistan's would have been welcome. One odd feature of the book is that, while the references for some chapters are numbered endnotes, others employ short parenthetical references to an alphabetized bibliography at the end. Neither style is better or worse than the other, but there should be a consistent style throughout an edited volume. 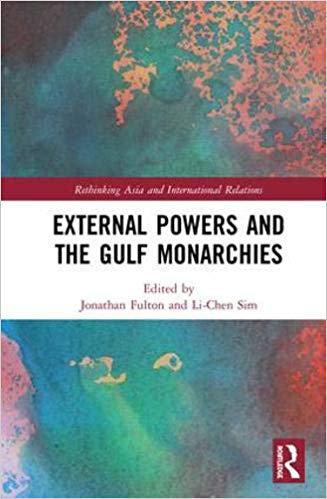 In sum, Jonathan Fulton, Li-Chen Sim and their colleagues have made an important contribution to the study of the international relations of the Arab Gulf monarchies. Their book will serve as a useful reference for policy makers, scholars, students and others concerned with this subject.